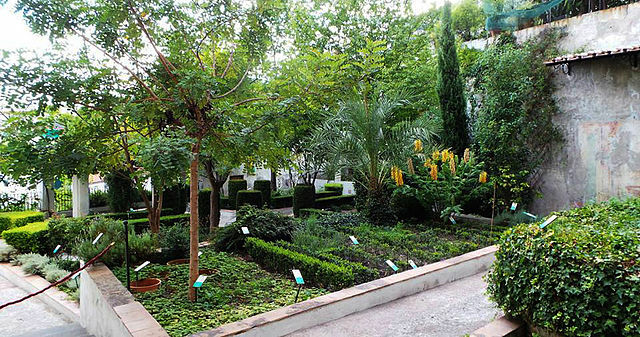 These gardens belonged already in the 12th century to the Silvatico family. Matteo Silvatico, a family descendant and outstanding physician belonging to the Medical School of Salerno, grew there medical plants and herbs, supported by a particularly favourable micro-climate. Wide steps reinforced by squared pillars support a pergola that joins and frames the different levels of the garden.